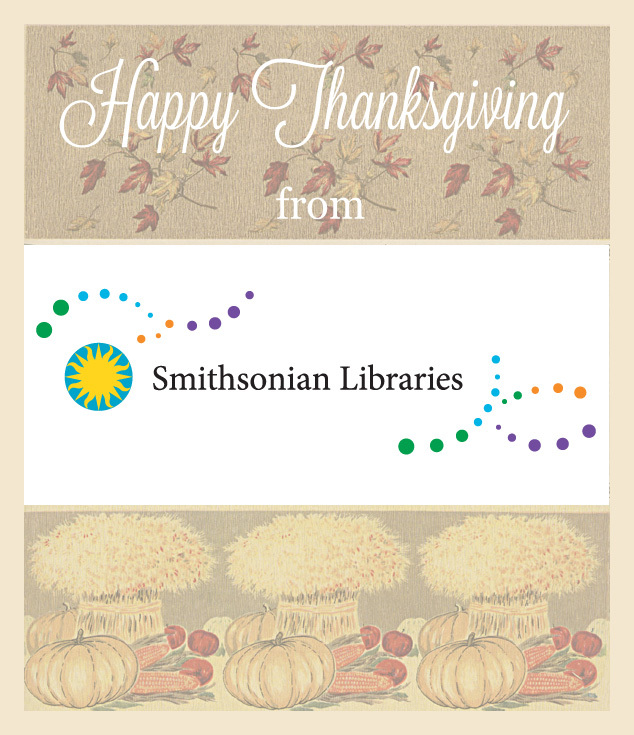 From all of us at the Smithsonian Libraries! Our branches will be closed on Thursday, November 27th, 2014, though Smithsonian museums remain open. We hope you enjoy your holiday! Looking for a little holiday reading? Learn more about the origins of the holiday here. Next Post Adopt a book this Black Friday!